I used to use ROT13 to protect my files until I found out how unsecure it is. Now I ROT13 twice, just to make sure. Pok�dex is a program I wrote for the PokeWiFi community on LiveJournal. It's a collection tracker for people who play Pok�mon, which allows them to easily keep track of what pok�mon they have and need, and more importantly quickly and easily generate lists of what pok�mon they have available for trade and what they're trying to get. 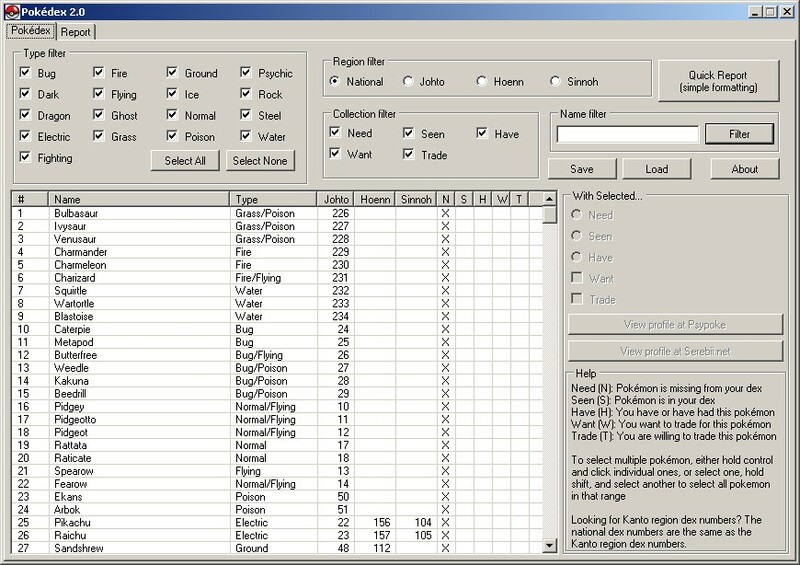 Make sure you unzip all the files in the zip file to the same directory before running pokedex.exe. If you're still having troubles, try installing the .Net Framework, which can be downloaded from Microsoft here. Pressing enter will now filter the list. 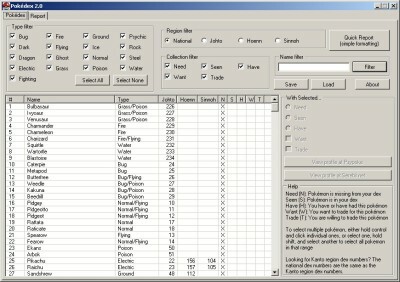 This is primarily handy for name filters. Minor bug fixes: If a pok�mon was selected and the filter was changed, website buttons would still act as if that pok�mon was selected and cause an exception if clicked.